Ukraine adheres to the ceasefire regime and only opens fire to respond to attacks, Ukrainian Ambassador to the UN Volodymyr Yelchenko told the Security Council. UNITED NATIONS (Sputnik) – The Ambassador said Ukraine is "strongly focused on the peaceful and diplomatic means" and is fully committed to the implementation of the Minsk agreements. "Ukrainian forces continue respecting the ceasefire; they have a strict order to open a fire only in response to attacks and assault actions of Russia-backed militants," Yelchenko said on Thursday. Speaking later at the meeting, Russian Ambassador to the UN Vitaly Churkin said Ukraine was provoking hostilities and uses the escalation of conflict to avoid implementing the Minsk agreements and seems to be choosing the path of military solution to the conflict. Earlier on Thursday, the monitors from the OSCE Special Monitoring Mission to Ukraine (SMM) have recorded the presence of four Ukrainian army tanks in Avdiivka in violation of withdrawal lines. 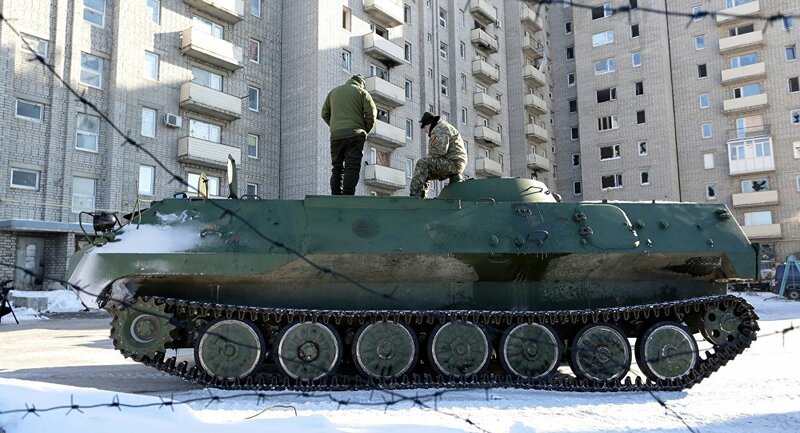 The SMM specified that it recorded fewer ceasefire violations in both Donetsk and Luhansk regions by both sides of the conflict compared to the previous reporting period, "but the overall situation remained highly tense."